Investors always look for the perfect formula that would enable them to purchase the best stocks at bargain prices, which would provide large capital gains over time and an increasing stream of dividend gains. One could line up one or several indicators in order to reach a buy decision. Selling a stock however, is what could ultimately determine whether you succeed or fail in the long run. As a buy and hold dividend investor, I try to pick stocks that trade at reasonable levels, and then dollar cost average my way into the position. My holding period is forever, as long as certain prerequisites are met. I don’t set target prices at which to exit, as most often than not the market is either going to blast through this level and never look back. Furthermore setting target prices at which to sell at would imply that I know when to sell high and that this “high” price will not be reached again the foreseeable future. There are three conditions that could make me sell the stock I am holding. - Company slashes or eliminates its dividend. - Company is overvalued relative to future growth prospects and current yield. I will focus my attention on selling when a stock that I own cuts or suspends its dividends. One of the main reasons why I would enter into a dividend stock is because I believe that the dividend would be increased over time, bringing my yield on cost upward to a comfortable double digit level. 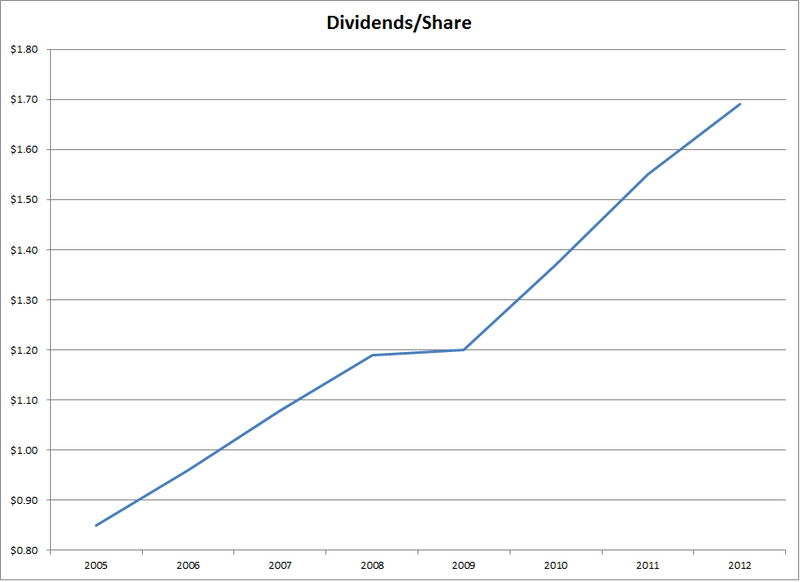 If a company maintains its dividend payment, without cutting it, I would still hold on to the stock. When the dividend is cut or suspended however, my goal of generating an increasing stream of dividend income is no longer valid. Thus, selling my whole position in this company is the best decision to make. Bank of America (BAC), Citigroup (C) and General Motors (GM) are three good examples that selling right after a dividend cut is a good strategy. Next week I will discuss why I disagree with the notion that selling after a dividend cut is an example of buy high sell low. Some investors believe that holding overvalued dividend stocks represents a lost opportunity cost. However, an overvalued dividend stock with rising earnings and dividends can remain overvalued, and investors who sit tight would reap the big rewards. 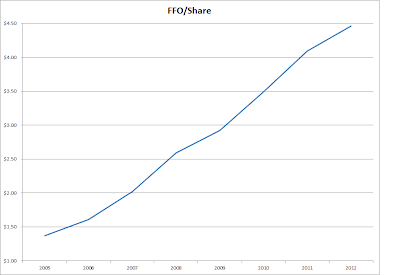 What is opportunity cost if you thus sold Coca-Cola (KO) in 1991 or on 1995 and purchased Enron stock with the proceeds? 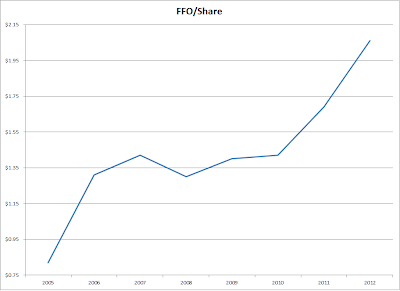 Coca-Cola traded at a P/E exceeding 30 at the high points in both years. However, selling at the high in 1991 of $10 would have been a mistake. In addition, selling at the high of 1995 of $20 might have been a mistake also. The reason why it was a mistake was because the company managed to boost earnings rapidly during the period. Only after it went through a rough patch between 1998 - 2002, did stock prices stall. Many other quality companies were getting overvalued at the time, which made uncovering quality stocks trading at fair prices difficult. I went through the old stock manuals, and most of the companies that looked attractive in the 1996- 1998 period were financials like Bank of America (BAC), and big oil such as Chevron (CVX) and Exxon (XOM). To paraphrase Buffett, an individual investor would likely get 20 truly exceptional ideas over their lifetime. If you identified Coca-Cola (KO) as a great company in 1989, but either never acted on it or didn’t allow the business the chance to show you improving fundamentals after you bought shares, you would have lost one of your chances in life. Luckily, you always get a second chance, or in Buffett’s theory 19 more to go. That being said, there is a nuanced approach to dividend growth investing that lets you keep options open. It’s the common sense approach that sometimes for whatever reason you can sell companies. If Coca-Cola trades at 50 times earnings, it might be due for a correction if growth expectations are reduced to even a modest 10% increase in earnings. 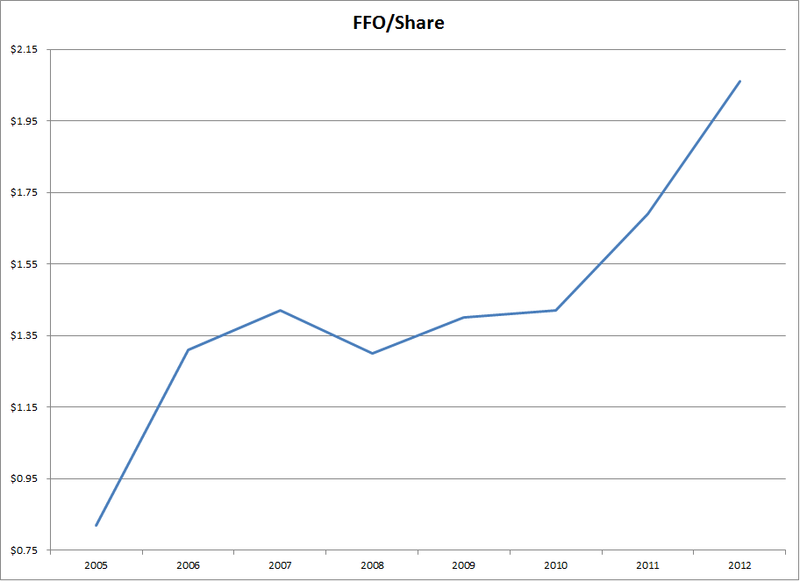 If other quality companies also trade at a P/E of 40-50, the wise thing might still be to hold on to Coca-Cola. However, if one can find hidden dividend gems that are not only cheaper, but in the buy zone then a replacement might be in store. I generally try to be a buy and hold investor, with regular monitoring, whose holding period is usually forever. However, from time to time I tend to sell positions in companies which do not make sense. 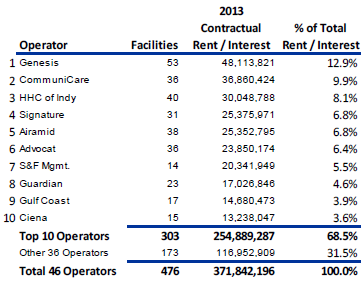 For example, I sold Con Edison (ED) in 2012 and replaced it with Oneok Partners (OKS). I also sold Universal (UVV) and Cincinnati Financial (CINF) and purchased Phillips Morris International (PM) and five Canadian banks in 2013. Most recently I sold Universal Healthcare Investors Realty Trust (UHT) and purchased Digital Realty (DLR) and Omega Healthcare (OHI). I essentially replaced lower growth companies with higher growth stocks that also had equivalent, if not higher yields at the time of replacement. However, the danger of this exercise is in getting carried away. If all you do is sell lower yielding but higher growth stocks for higher yielding stocks, this could increase risk in portfolios. Investors who purchased a higher yield stock might have taken on more risk, and actually worsened their investment situation. The risk is in terms of diversification, and not playing to different scenarios. For example, why own Chevron (CVX) when you can own Kinder Morgan Partners (KMP). Both are perfectly great companies to own, but I would be much safer owning both rather than just one of them. When I replaced companies, the first issue I had was that growth was very low and that the price had risen to unsustainable levels relative to similar assets. At the rate of growth of Con Edison (ED), it would have taken me 72 years for my distributions to double. When the yield went from 6% to 4%, I decided to sell and purchase ONEOK (OKS), which yielded 4.50% and grew distributions above the rate of inflation. 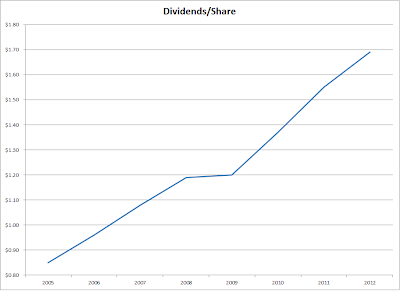 As a result, my dividend income increased by 10%, simply by making the switch. Whether ONEOK actually does better than Con Edison, is yet to be seen. However, even if it performs just as well as Con Edison, I would have been worse off, because I had to pay capital gains taxes on the switch. If you compound those issues over time, this could be a serious detractor from long-term performance. Currently, I own a position in Brown-Forman (BF-B). There is a quality of earnings, driven by the diverse products that generate strong demand in the US and internationally. The company seems to be doing a good job of growing the business, and rewarding shareholders with high dividends in the process. I believe that ten years from now, Brown-Forman would have at minimum doubled earnings per share. 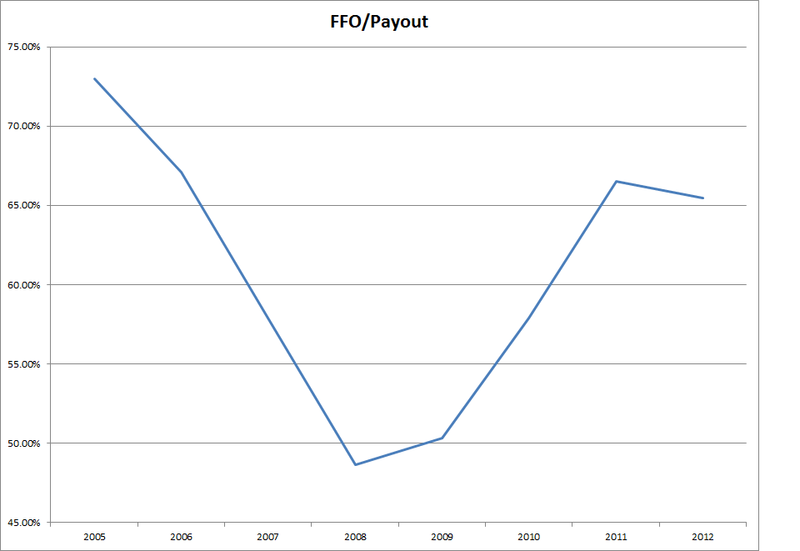 As a result, if it earns $6/share in 10 years, and trades at a P/E of 20, I would generate a good return on investment. The return would be good because I would receive a rising stream of dividends, which typically increase anywhere between 7% - 9%, which I can then use to purchase shares in other companies. Currently, I do not see companies that are similar to Brown-Forman, which are fairly valued. As a result, I would have to buy a company that is in another industry. A few like International Business Machines (IBM) and Wells Fargo (WFC) come to mind. Both companies have much lower P/E ratios in comparison to Brown-Forman, and they also have higher yields. Comparing P/E ratios between companies from different sectors is similar to an apples to oranges example. For example, oil majors such as Chevron (CVX) or Exxon Mobil (XOM) usually trade at low P/E ratios. The question is, would replacing Brown-Forman with another company affect the risk profile of my portfolio negatively, and would a prudent business owner sell their stake simply because the value of their business is quoted higher? My options include simply holding on to Brown-Forman (BF.B), and reinvesting dividends in other attractively valued opportunities. My second option includes selling and purchasing a company that is cheaper, such as International Business Machines (IBM) or Wells Fargo (WFC). The main concern is that I want to maximize return for the next 20 – 30 years. If I purchased IBM today, but it fails to increase earnings, while Brown-Forman continues its slow and steady growth, I would be kicking myself in 20 years. 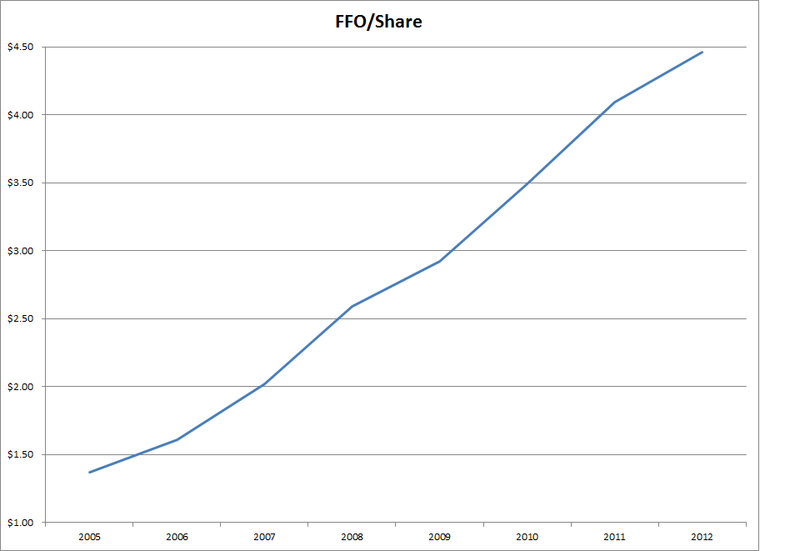 If I sold my position in Brown-Forman, I would also have to pay a capital gains tax, as my cost is $39.98/share. If I sold at $72/share, this would be equivalent to receiving $67/share after-tax. Given the fact that I like the company’s prospects, I will hold on for now but would closely monitor it if it goes above $80/share. Unless your income stocks trade at ridiculous valuations such as 30 – 40 times earnings, it might be simply fine to hold on to them. Unfortunately, every situation is different. This is why a black and white approach is dangerous, while a more nuanced and selective approach is superior. I tend to post anywhere between three to four articles to my site every week. 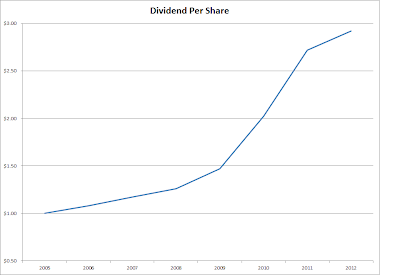 I usually try to write at least one or two articles that contain timeless information concerning dividend investing. This could include information about my strategy, or other pieces of information, which could be useful to dividend investors. To Buy or Not To Buy Are We Heading Towards a Market Correction? With the market hitting fresh 17 month highs, investors have to look hard in order to find attractively valued opportunities. Plenty of stocks such as Aflac (AFL), Emerson Electric (EMR), 3M (MMM) and Realty Income (O) ,which in early 2009 rewarded enterprising dividend investors with their highest yields in a decade, are now yielding much less. Many stocks are also trading at rich valuations, which suggests that investors these days are willing to pay a premium for future growth. The rapid increase in prices since March 2009 lows has many dividend investors wondering whether they should lock in some or all of their gains today. Investors who were able to purchase stocks in 2008 and 2009 might be sitting at gains, which seem equal to the dividend payments they could expect from a stock for several years to come. The issue with this thinking is that dividends typically increase over time on average while cash in the bank typically loses its purchasing power over time. As a result the investor who takes profits today might lose on any increases in dividends as well as on any future price gains. They would also have to find a decent vehicle to park their cash, which is getting harder and harder to find these days. Because of the reasons stated above I would not consider selling even if my position went up 1000%. It would not be a wise idea to sell a stock which was purchased as a long term holding and its business hasn’t changed much. What is important is that the original yield on cost that has been locked with the purchase in 2008 or 2009 is there to stay, as long as the dividend is at least maintained. I would only consider selling when the dividend is cut. If a stock you purchased had a current yield of 8%, your yield on cost of is 8%. 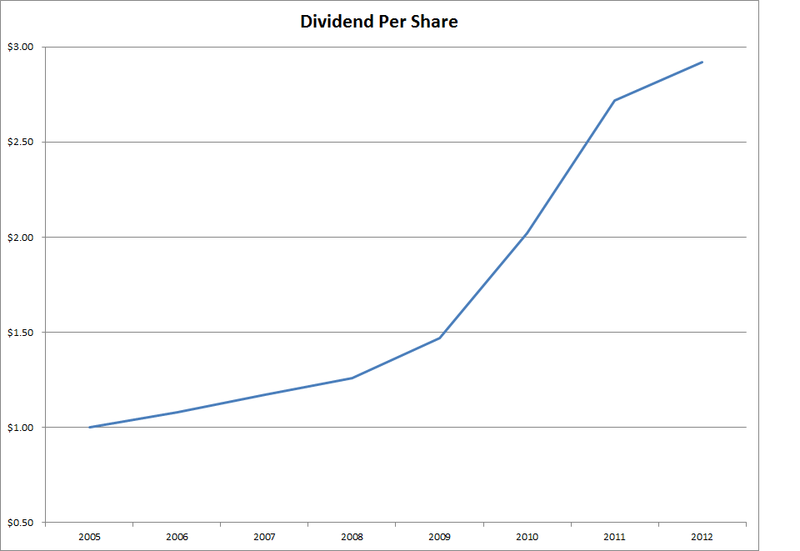 The nice part about this is that you keep receiving 8% on your original cost as long as the dividend is maintained. Then it doesn't really matter if the stock is currently yielding 1% or 2% - you still earn 8% on your cost. If the dividend payment is increased then your yield on cost rises as well. Companies like Johnson & Johnson (JNJ) or Abbott Labs (ABT) for example have low current yields of 3%, but their growing dividend payments produce substantial yields on cost over time. If you were thinking of selling a stock which generates great yield on cost, you should remember that currently the market is overvalued. But the market could keep getting overvalued for a far longer period than you or I could remain sane. Retirees need income, and in the current low interest environment dividend stocks seem to be the perfect vehicle for an inflation adjusted source of income in retirement. Back in the late 1980s Procter & Gamble (PG) yielded less than 3% for the first time in decades, which was much lower than the 4% average yield that investors received in the mid 1980s. In early 1991 the stock traded at 10.50, yielded 2.40%, and paid 6.25 cents/quarter. Although bonds yielded at least three times what P&G yielded at the time, they couldn’t provide rising income payments and the possibility for high capital gains as well. By early 1994 Procter & Gamble stock increased to $14, after a 2 to 1 stock split, paid 8.25 cents/quarter and yielded 2.20%. In early 1999 Procter & Gamble traded at $46.50 and had split 2:1 in 1997. The company paid out 14.25 cents/share but yielded only 1.30%. The yield on cost for the early 1991 investor was a more comfortable 5.50%. Fast forward to 2010 and Procter & Gamble is trading close to $64 and yielding 2.80%. The yield on cost on the original 1991 purchase is 16.80%. This example goes on to show that selling Procter & Gamble (PG) when it became overvalued, was not a very good idea, because the company kept generating higher earnings and kept increasing its dividend payment. While investors could have found other stocks to reinvest Procter & Gamble (PG) dividends or allocate any new cash, they would have been well off simply holding on to Procter & Gamble (PG) and other dividend raisers despite them being overvalued for extended periods of time. Right now Procter & Gamble (PG) looks like it could again stay below 3% for the foreseeable future. This time I am planning on adding to my position around $59 ,even though it is not exactly trading at a 3% yield. Note to Readers: This article was originally published on March 24, 2010. The basic ideas behind it however are still valid, three years later. 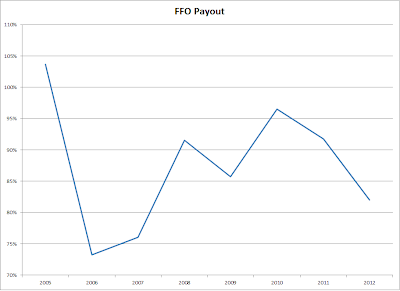 - Is now the time to sell your dividend stocks? Income portfolio diversification is important in order to maintain dependability to your dividend checks when the proverbial bad apple cuts or eliminates distributions. When a whole sector turns out to include an above average concentration of bad apples, which was the case with financials between 2007 and 2009, investors that had allocations to other sectors should have been able to maintain the level of their distributions consistent. They could have easily replaced any dividend cutters or eliminators into other promising and extremely undervalued dividend paying securities. Diversification protects investors against certain risks. At some point however, no matter how many quality dividend growth stocks one holds in their income portfolio, they would not be properly positioned against other risks. One of the biggest risks that an economy can experience is the risk of deflation. 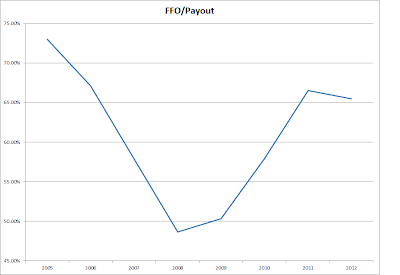 Deflation is bad for corporate profits, and therefore is bad for dividend payments. The only assets that can maintain the level of income during a deflationary environment are Treasury Bonds. In a previous article, I outlined the idea that dividend growth investors should have at least a 25% allocation to fixed income at the time of their retirement. I mentioned how an investor can simply use the proceeds from their income portfolio for the five years prior to retirement, in order to build this fixed income cushion. However, with interest rates near all-time lows, purchasing US Treasuries today seems like a recipe for disaster for those starting today. The most that investors in treasury bonds today can expect is a 2% - 3% annual return for the next ten, twenty, thirty years. This is barely enough to keep up with historical rates of inflation however. Some high quality stocks like McDonald's at 3.10% (MCD), Johnson & Johnson at 3% (JNJ) and Phillip Morris International at 3.70% (PM) yield much more than US treasuries today. In addition, their distributions are much more likely to increase over the next 20 - 30 years. The investor who started purchasing bonds two or three years ago however could have seen better rates in the 4% – 5% range for Treasuries and Agencies. Risk is that we get deflation over the next decade, which can hurt corporate profitability. As governments around the world have been pumping out liquidity for almost five years now, it is difficult to forecast any other scenario than rampant inflation over the next five to ten years. However, the fears of rampant inflation have been going on over the past five years, and yet these might be over-hyped. Japan has had record low interest rates for almost 20 years, coupled with poor stock market returns. The country has been taking on debt to prop up local demand, without really resulting in anything other than deflation. Investors in Japanese bonds did much better than investors in stocks or real estate over the past twenty years. During the Great Depression, plenty of companies cut dividends as their revenues and net incomes were hurt by the contraction in demand for their products and services. Losses in nominal dividend income ranged anywhere between 50% for the S&P 500 to 75% for the companies in the Dow Jones Industrial index. Investors in US Treasuries however managed to receive a stable stream of income. I did my first investment in US Treasuries in 2010, but the rising prices made me sell for hefty profits. Since then, my allocation to fixed income has decreased to approximately 3%, and continues dropping as I allocate new funds exclusively to dividend stocks. I preferred to purchase individual bonds, rather than bond funds, and then ladder them by maturity. I am not a fan of corporate bonds, because I believe that I am not properly compensated for the risk of default due to a soft economy. As a result I am much better off in the company stock than the bond. I am not a big fan of bond funds, because I have no guarantee that they would be holding bonds to maturity. In a rising interest rate environment, bond funds that sell existing low yielding bonds and purchase higher yielding new bonds in order to maintain their maturities could end up losing money for investors. If I hold my bonds to maturity, at least I will get my principle back, albeit with a lower purchasing power. I also avoid municipal bonds, because they have a risk of default. As I near the five year bond accumulation period prior to the potential financial independence point, I am not seeing much value in Treasuries today. That leaves my portfolio wildly exposed to the risk of deflation. I might end up simply laddering bonds and concentrate on US Agencies like Fannie Mae and Freddie Mac with duration that is less than 10 years. However, I highly doubt that a 25% allocation to fixed income makes sense in the current environment. The most I see putting is probably two years’ worth of expenses in short-term laddered fixed income securities with an average maturity of five years. That could work to anywhere between 6% - 8% of my total portfolio.